Dr. Qays completed his MBChB at Al Kufa College of Medicine in Iraq (1989). He operated as a House Officer undertaking the internship after graduating from the Medical College in Baghdad Health District Hospitals in Iraq (1989 – 1991). Dr. Qays is a fellow of the Iraqi Committee of Medical Specialization in Neurosurgery (1997), and a Fellow of the American College of Surgeons (FACS). Dr. Qays began his career as a General Practitioner in the obligatory military services (1991 – 1993). He then worked as a Senior House Officer and Registrar in Neurosurgery at the Neurosurgical Hospital and Al Jerahat Surgical Specialty Hospital in Iraq (1993 – 1997). Dr. Qays also worked as a Specialist Neurosurgeon at Al Jerahat Surgical Specialty Hospital (1997 – 2003) where he was involved in the supervision of the Neurosurgical Resident Training Program and teaching in the Medical College of Baghdad University (2003 – 2006). Since 2006, Dr. Qays has been Head of Department of Neurosurgery and a Specialist Neurosurgeon in NMC Specialty Hospital. 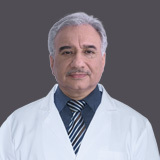 Dr. Qays is part of several professional organizations and memberships, namely the Iraqi Neuroscience Committee since 1997, the Iraqi Medical Association since 1989, and the A.O. Spine Middle East. 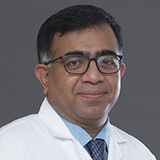 He has some publications and studies to his name including “A Comparative Study of MRI Diagnosis of Brain Lesion vs Computerized Tomography, publish in the Journal of the Medical & Technical College, Baghdad, Iraq, 2001”. In addition, Dr. Qays attended multiple training courses and conferences including A.O Spine Comprehensive Spine Course in Dubai in 2005 and 2007, training course on Neuronavigation, Brain Lab in Munich, Germany in 2005, and a Neurosurgical Pan Arab Society Meeting in Amman, Jordan (2004) to name a few.